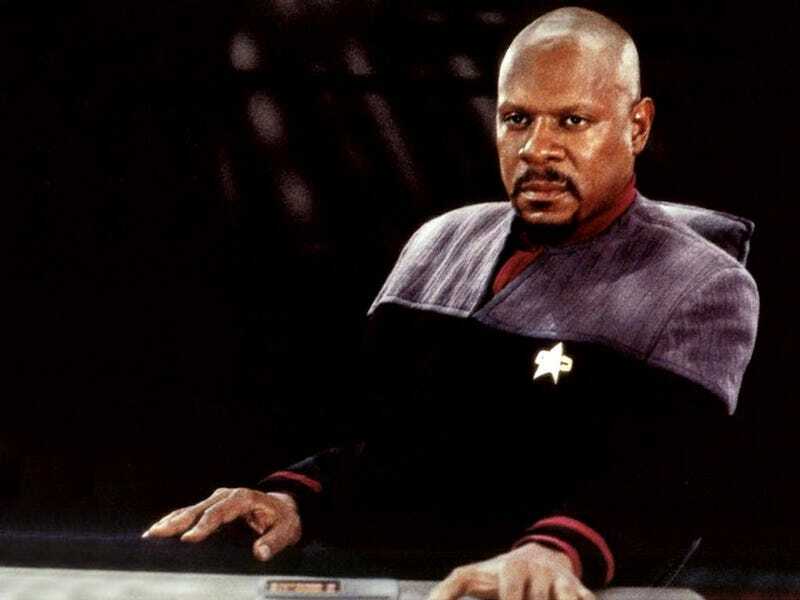 Deep Space Nine wasn't just a darker version of Star Trek in a metaphorical sense — it was also lit very differently. The Trek Companion podcast has an exclusive interview with Kris Krosskove, who was camera operator and often director of photography on both TNG and DS9. And there's a full transcript at TrekWeb. Because you could have light depravation after a while, especially on Deep Space Nine with dark, dark, gray sets and low lights and contrast... It was actually a choice that was consciously made to make it darker and grittier. They were not as pristine a ship as the enterprise was. And, I think that the characters and the places that they traveled…it was a darker, a little seedier environment than the pristine world the enterprise was (in). He notes that even when they went to a planet on DS9, it was usually not a place with a lot of sunlight. Read the whole thing over at Trek Web.